BIZOL’s Maintenance Formula has been tested over 10 years by workshop mechanics to increase their profit while improving the satisfaction of their customers. The BIZOL Maintenance Formula is a program based on the use of BIZOL additives and motor oils taking into account mileage, fuel quality and driving habits of car owners. In most cases, there is a loss of engine power because of poor injectors' performance; this can be avoided with the BIZOL Maintenance Formula. 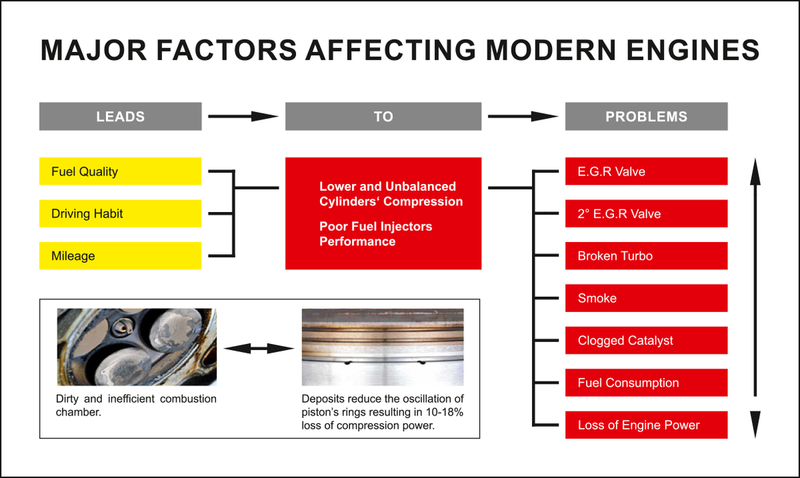 In some other instances, these malfunctions can bring about expensive repairs and increased fuel and motor oil consumption. 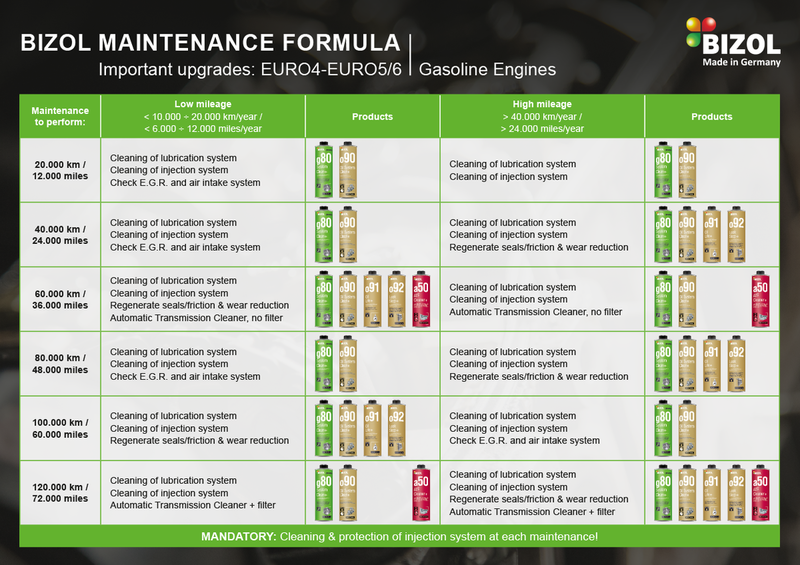 After more then 10 years of testing we have come up with the BIZOL Maintenance Formula. This way we help the car owner to keep his engine like new and avoid expensive repairs.